There are so many sources of inspiration out there. You could go online and find all sorts of beautiful projects. Personally, I am a Pinterest addict and have tons of ideas pinned there for later use. But where else can you find inspiration? 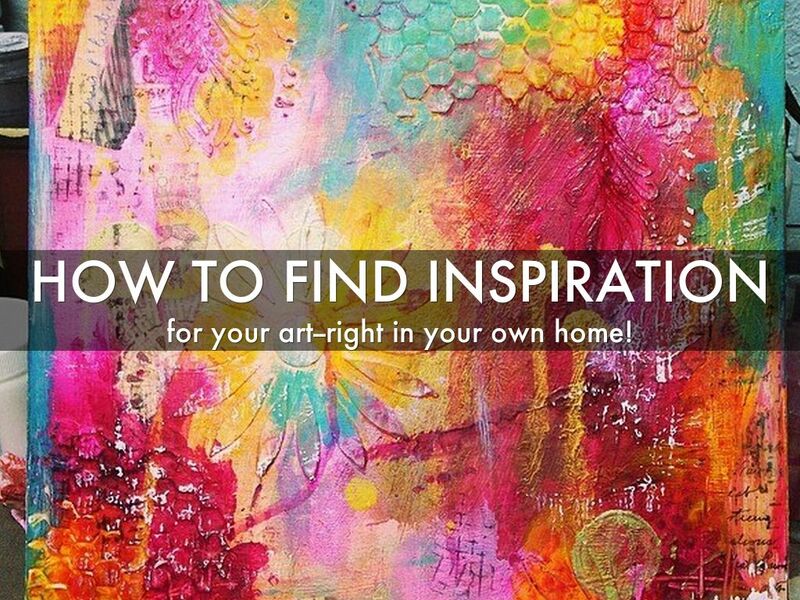 You would be surprised at how much inspiration you can find right in your own home. I find that if I take a moment to look at my everyday surroundings in a different way, I can find all sorts of cool things right in front of me. Here are a few of my favorite everyday sources for inspiration. for your art--right in your own home! I acknowledge that I am a total bibliophile. Even in this digital age, I still absolutely love going to the bookstore and buying books. I always have a huge stack of them next to my bed. Not only are the books a great source of inspiration, but have you stopped to really check out the covers of the books? Look at the fonts used, the images, the layout. 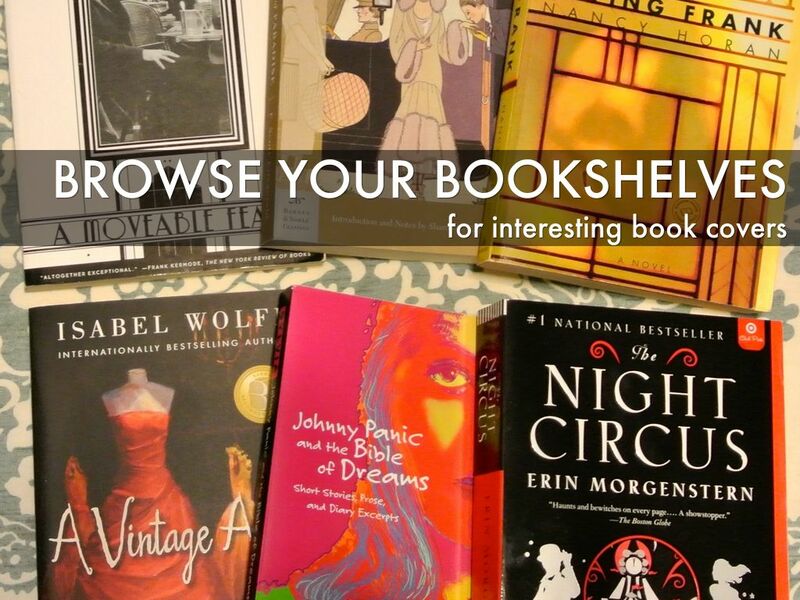 Try browsing your bookshelves and see what kind of cool things you can find. 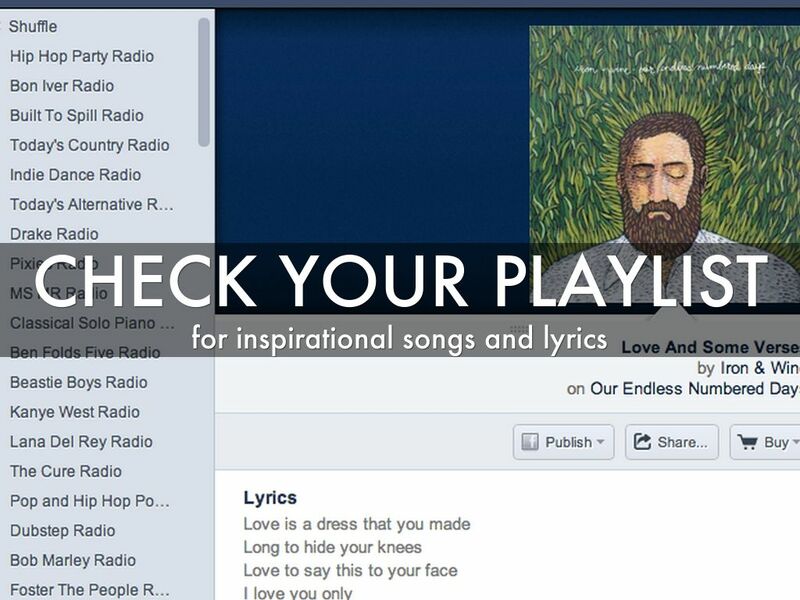 This is probably a pretty obvious one, but I LOVE listening to music when I am trying to get inspired. It relaxes me and helps me to capture the mood of whatever I am working on. I love song lyrics also, and frequently use them on my journal pages. ...more than just a container!! This may sound a little strange, but I was cleaning my bathroom and noticed the Febreeze can sitting there. The colors and patterns were so pretty to me! Then I started digging around some more and realized there is a lot of great art on the packaging and containers of all sorts of things I had sitting around. 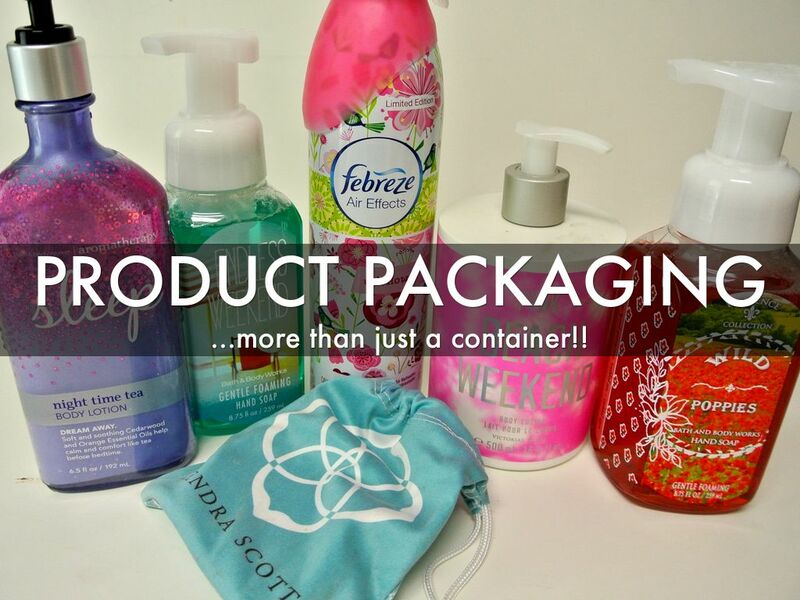 This is not limited to just your pretty Bath and Body Works packages. Look at the packaging for your art supplies (embellishments, paper packs, etc.). Check out your kitchen pantry, puzzle boxes, bags from stores, gift bags, food wrappers and containers. Look for interesting designs, patterns, and fonts. I found these vintage Enid Collins purses in my closet. I used to collect them. Also check out your accessories (scarves, purses, hats) and jewelry. 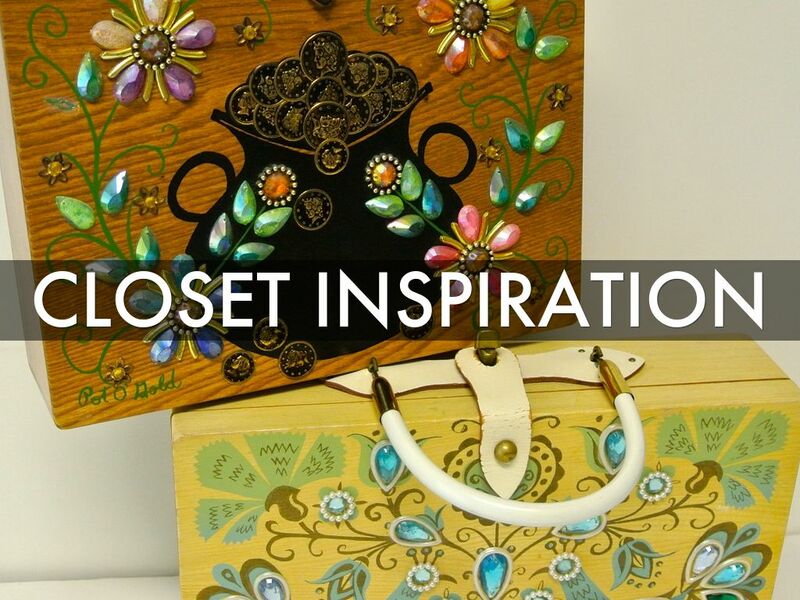 they have all kinds of cool stuff to be inspired by! My artwork tends to be pretty girly, and lucky for me I have 4 girls to pull inspiraton from! My youngest daughter especially. 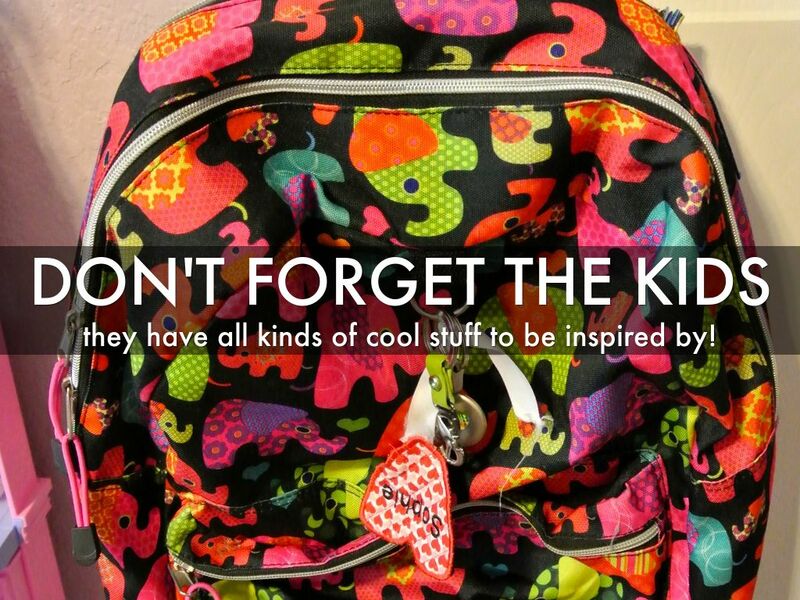 Check out her awesome elephant backpack. I can see more mixed media elephant paintings in my future! 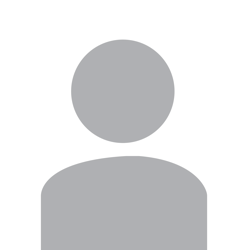 Children’s or adult’s clothing, album or CD cover art, posters, and magazine covers. 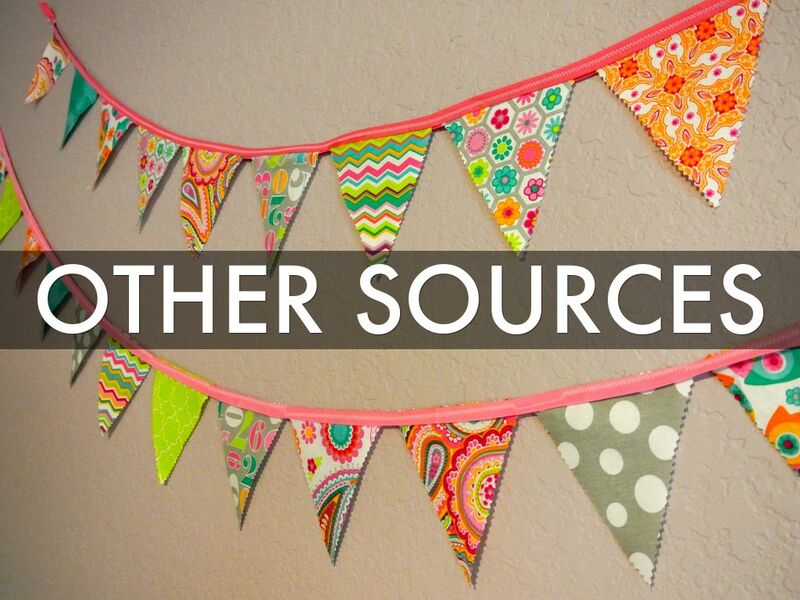 This is a birthday banner that I made for my daughter's birthday party that I later hung in her room. I love the fun patterns and colors on the fabric! 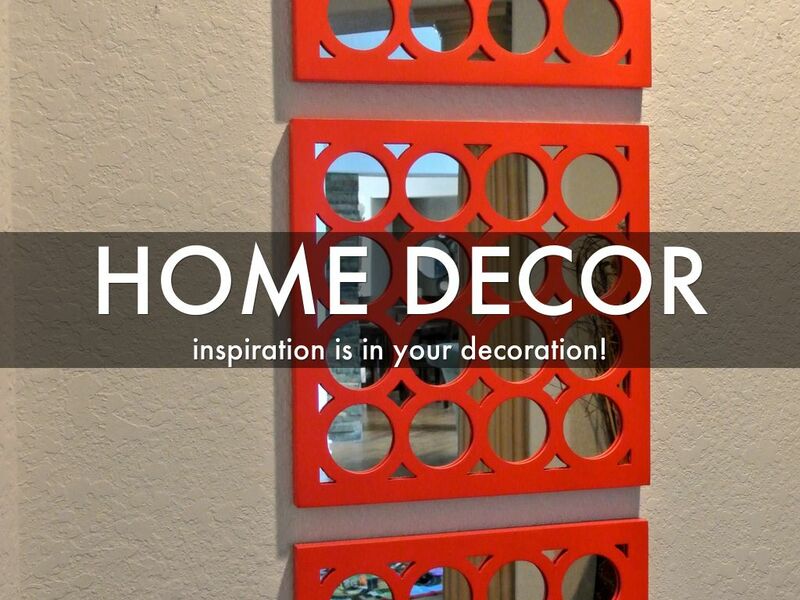 inspiration is in your decoration! Chances are you have some pieces that you love in your home. I have these mirrors that hang in my front entry hall. I realized that I have a stencil that is very similar that would look great with that red. I also found some plates with a pattern I plan to copy. 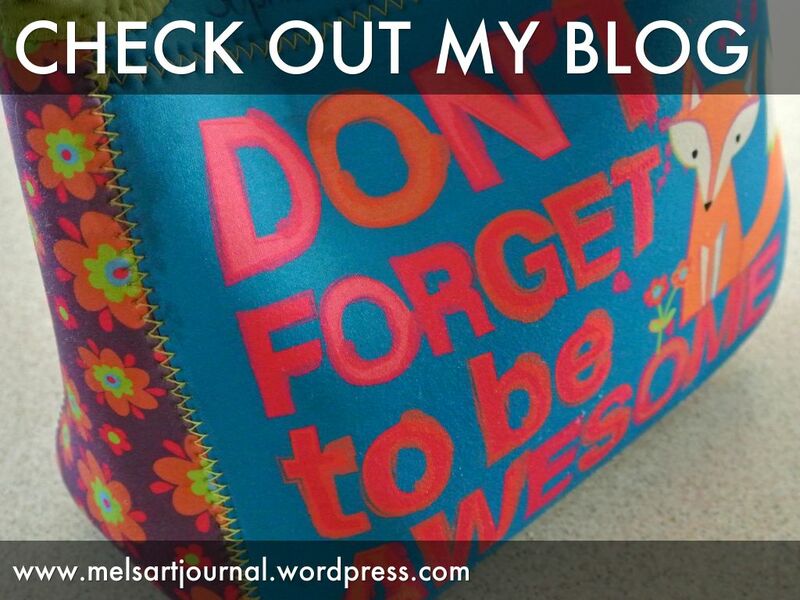 If you are interested in learning more about mixed media art, please visit my blog for more informative articles, tutorials, and pictures of my art journal pages and mixed media projects!